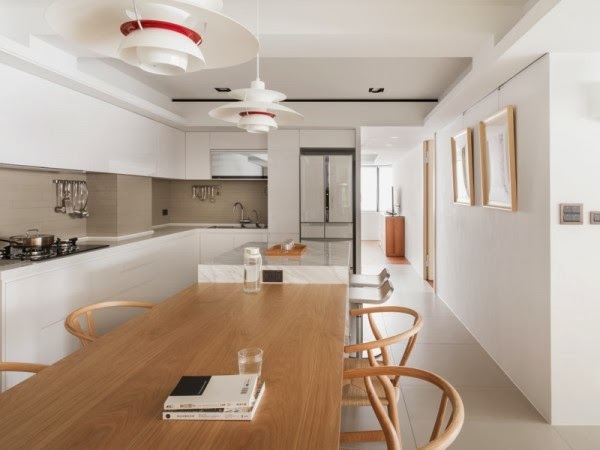 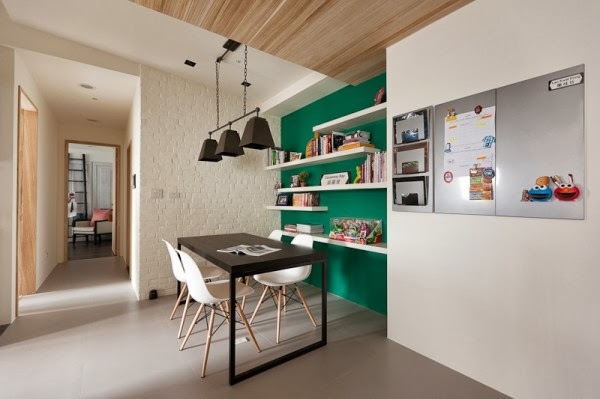 Many modern apartment designs, including those featured on this site, rely on bright neon pops of color to give the rooms a more playful feel. 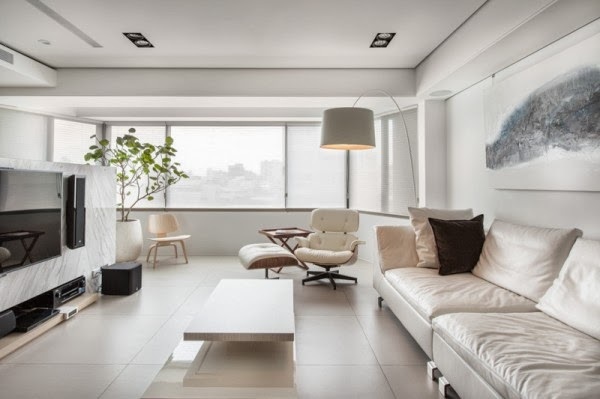 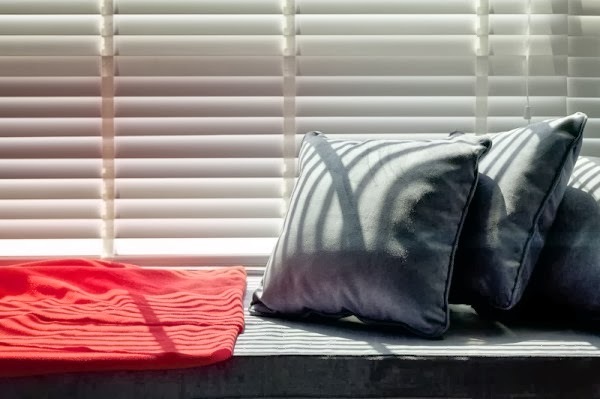 However, there is always something to be said for the more subdued and sophisticated choice of monochromatic design. 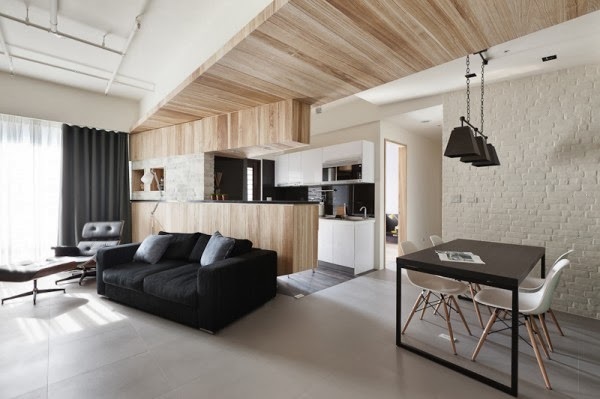 In the first of these two urban apartments, both photographed by the ever reliable Hey!Cheese, we can see that black, white, and shades of grey can create an almost zen-like modern atmosphere. 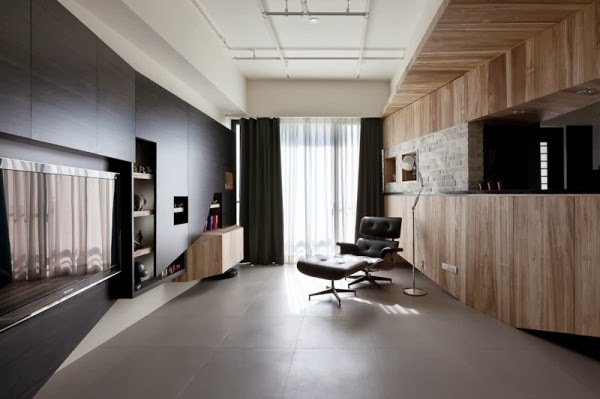 In the second home, while dark colors pervade, earthy accent walls manage to warm up the design. 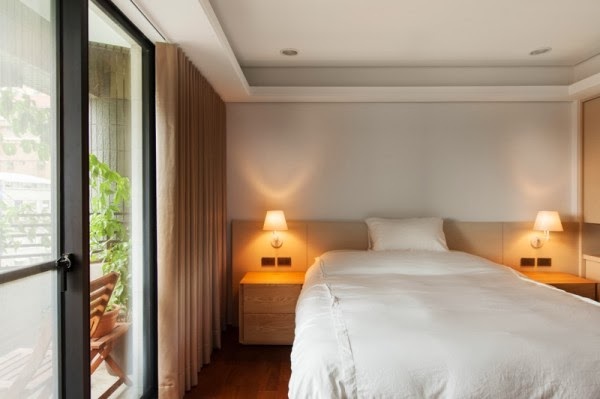 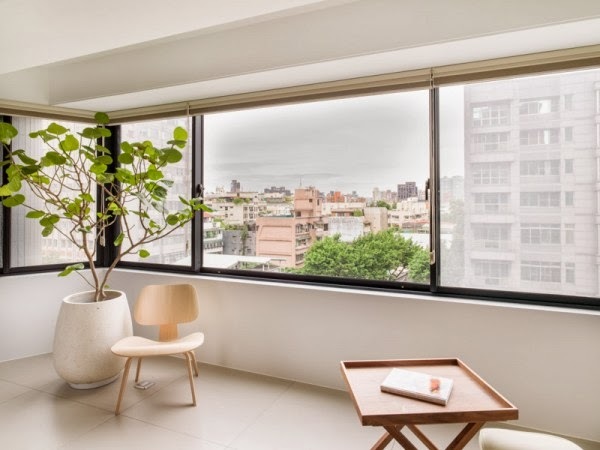 With a crisp white bedroom that opens up onto a cozy balcony covered in greenery, we see a wonderful space to relax and unwind at any time of day. 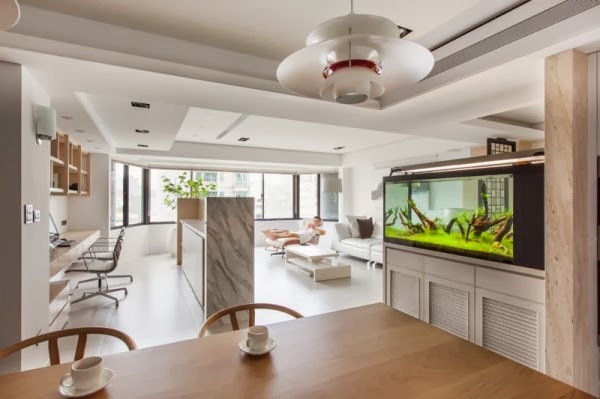 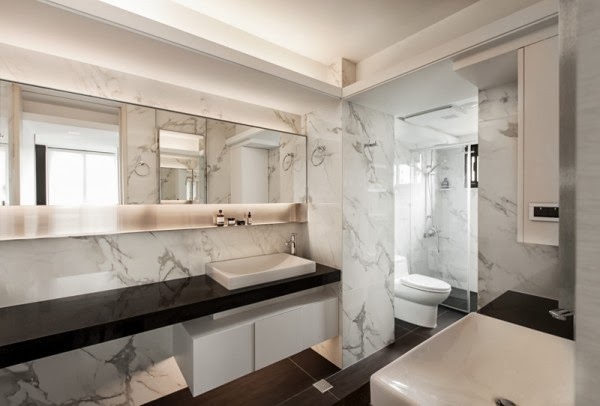 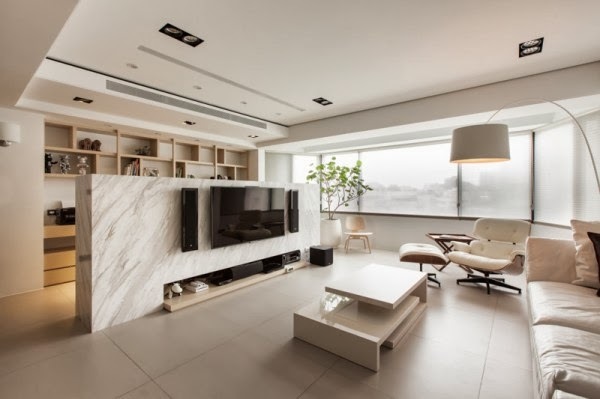 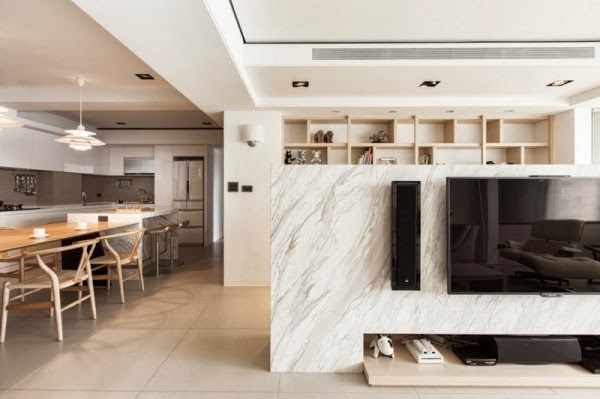 The marble half wall, where an LCD television is mounted, creates a comfortable office nook that is separate from the living area, but not closed off from the house. 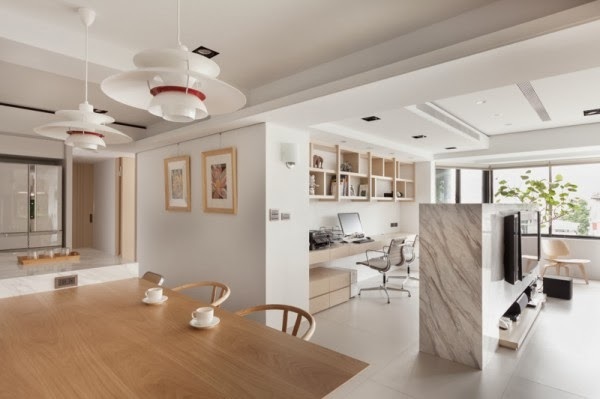 This makes it easy to forget about work, but equally easy to jump into it comfortably. 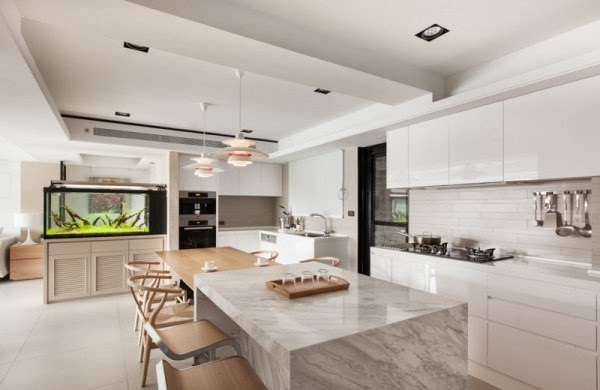 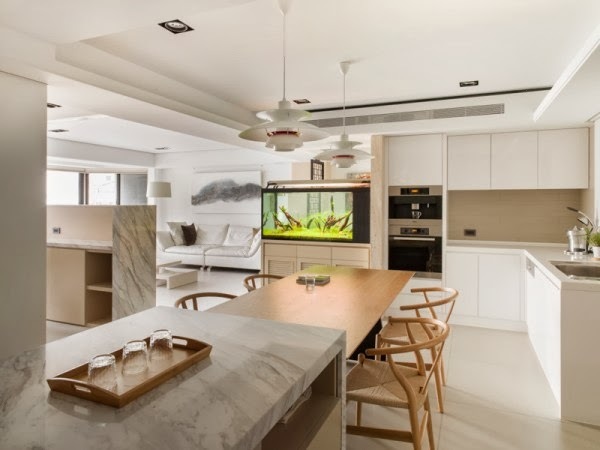 While the kitchen is typically a place that bursts of color find their home, this one has been kept a gleaming white from cabinetry to countertop. 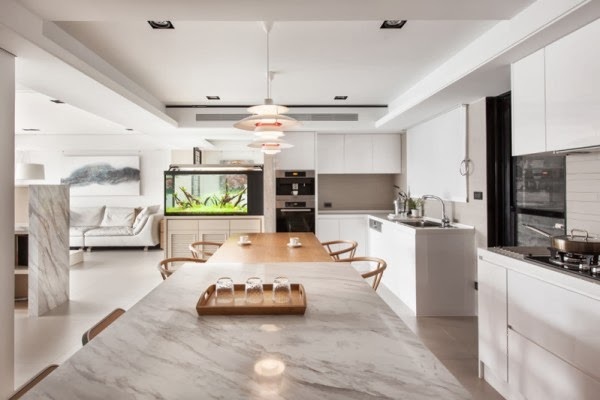 The light wood breakfast table that is nestled up against the marble bar makes it easy to entertain larger groups, or have a cozy family meal, even without a lot of square footage. 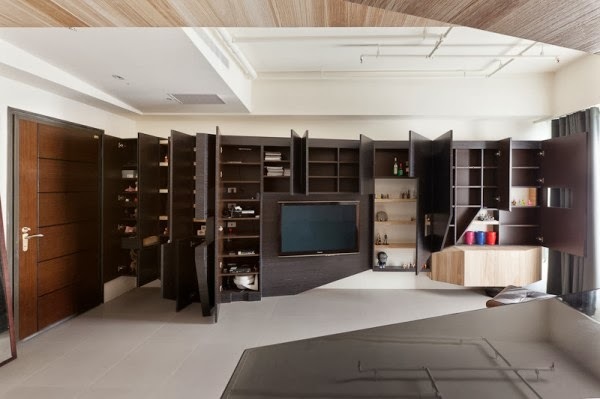 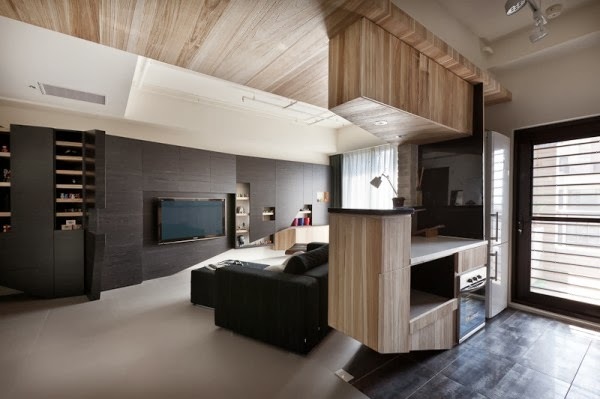 The massive built-in storage unit in the living room creates a black accent wall when closed, and tons of hidden storage space when every door opens up. 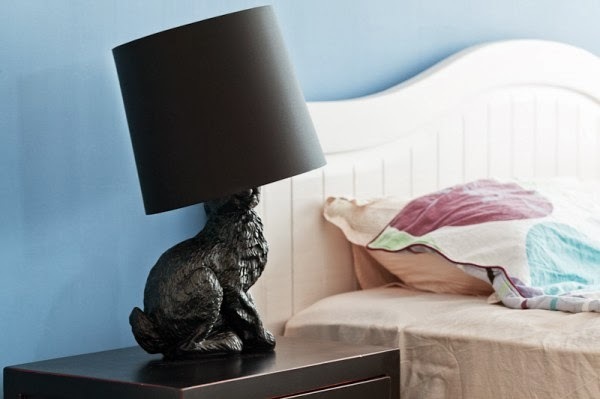 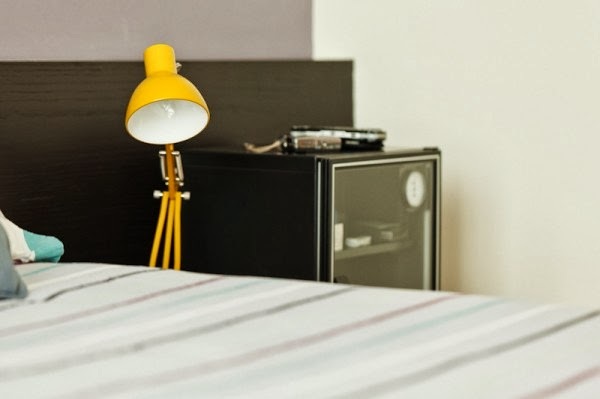 Of course, what bedroom is complete with a slightly funky rabbit lamp on the bedside table.